The original VR Cover for the HTC Vive. The 100% cotton cover will ensure you never have to use a sweaty headset again. The covers are designed to fit perfectly around the headsets face plate and will make the long hours using the HTC Vive that much more comfortable and cleaner. Easy to take on and off between uses and made to be machine washed after a particularly sweaty VR session (wash it cold up to 30 Celsius and do not tumble dry). All covers come in a set of two so you never have to sit around waiting for a cover dry. 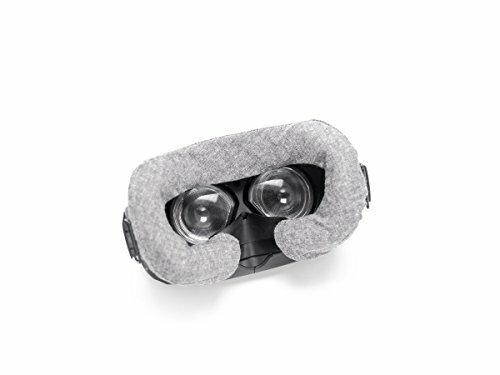 Get your VR Cover today and experience real comfort and improved hygiene in VR! - Supplies Are Limited! ✅ Machine washable - Improve hygiene and prevent the build up of bacteria and dirt. Simply throw in the washing machine when necessary. ✅ High quality material - Two layers of 100% cotton and a snug fit mean you'll want to cuddle with your Vive more than ever before. ✅ Set contains 2 covers so you'll never have to wait around. View More In Video Game VR Headsets. If you have any questions about this product by 647732324549, contact us by completing and submitting the form below. If you are looking for a specif part number, please include it with your message.